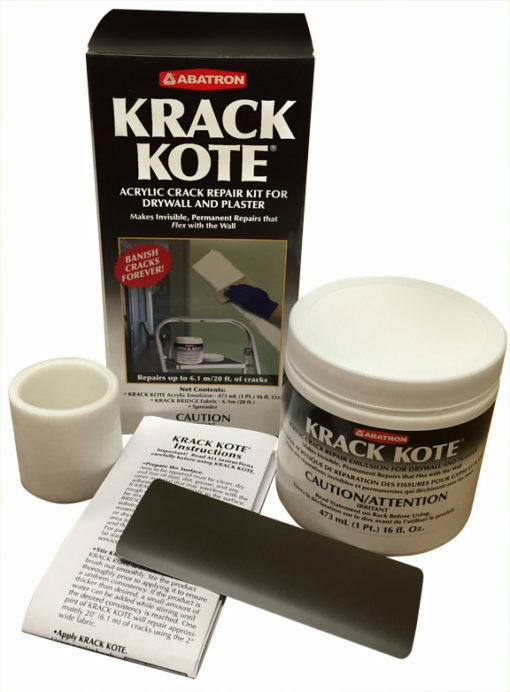 KRACK KOTE® | Abatron, Inc.
Make invisible, permanent repairs to cracked walls and ceilings in under an hour. No sanding required. Once the second coat dries, it is ready to paint! No primer needed. 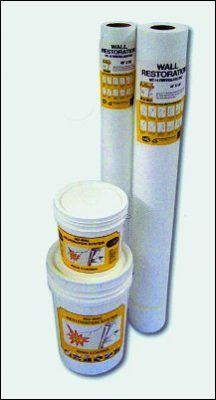 The specially formulated acrylic emulsion is used with a polyester mesh to bridge over cracks. It retains its flexibility as it dries, without shrinking. This allows the repair to move as the wall moves, leaving a seamless repair that will not reopen like other fillers or putties. Q Can I sand Krack kote? If not how can I remove the ridges and poor finish I got? Q Can this be used where the paper tape at a drywall seam is popping off instead of reappearing? You could bridge it, but there may be a bump there. It will not hold the paper down. Q Do you still have the Tuffglass fabric? What is the difference between Tuffglass and the Bridge fabric...I know the fabric is different, but is it as good? Answered by the admin	We do not have the Tuffglass fabric. 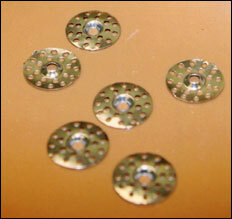 That product was part of the TuffKote product and we no longer resell it for the manufacturer. We do have our Krack Bridge Fabric, which is a thin polyester mesh product. Q Can this be used over a light popcorn ceiling? A smoother surface is better for application. Q Can you plaster over this product? You can but it's not necessary. I originally bought this at Sears years ago and repaired my plaster ceiling in my home I have a rental but I want to use it on . It’s still intact at my home after 15 years! Great stuff!! We own a small real estate company that specializes in the sale of older and historic homes. Needless to say, plaster cracks are huge (pardon the pun) in our business. We’ve been recommending Krack Kote for 25 years and every last customer is a fan. So glad Abatron bought this product and brought it back! 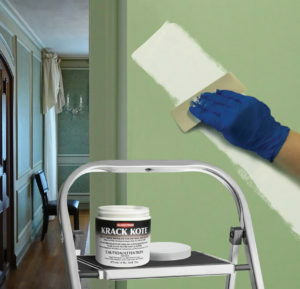 I used Krack Coat before I painted the walls in my Victorian home. Well some of the Kracks are back. But … it covered the cracks for almost 39 years. I think I got my moneys worth. I have used KRACK KOTE to repair cracks in plaster walls and ceiliings for many years,(over 20) with excellent results. I’ve repaired walls and ceiliings in apartments as well as in my home. Following the directions I have never had a separation of the fabric from the surface. Properly installed it makes a 99% invisible repair. I am a very satisfied customer.